People are often complaining about seasonal allergies. Many people seem to think that pollen is the cause of seasonal allergies and fail to realize that underlying their reaction to pollen is a dysfunctional immune system. Of course, there is also something causing the immune system dysfunction. Illness tends to be multifaceted and a wide variety of strategies can be applied to resolve anyone issue. Often times people ask me what they can take for allergies. This is an excellent question. It also blows my mind a little. The simple answer it to take something like CounterAct Allergy, an over-the-counter loratadine antihistamine. However, when people ask me this question they are usually wanting an alternative to the mainstream drugstore solutions. This is where my mind gets blown. I am trained in a classical, constitutional approach to herbal medicine. To “treat” allergies I would need to know more about the person to find out what is contributing to the problem. My goal would be to eliminate the issue, not just treat the symptoms of the allergy. Yet, when someone stops me on the street with an allergy question, they are expecting a one word answer, not a half-hour of questions. Luckily, herbal medicine has several anti-histamines. The best one is ambrosia. However, I rarely recommend this one, because while the plant is ubiquitous, the one place you won’t find it is at the store. In addition, I have found the indications to be quite specific to allergies characterized by copious fluids. With watery eyes and runny nose it can dry things up within 5 minutes. However, to find out the characteristics of the person’s allergies would require questions and, well, here we are trying to avoid getting into a long health discussion. 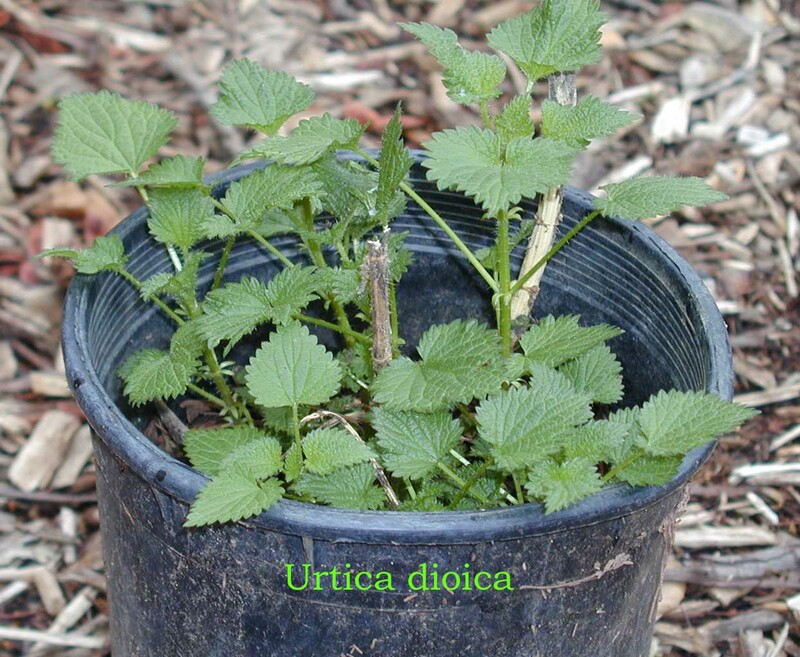 The herb I most recommend is nettles (Urtica dioica). It is a general anti-histamine and is great for the itchy part of allergies. Since I use ambrosia when things are runny, I cannot say if it is as effective for that. The preparation you use needs to be fresh freeze-dried capsules, fresh juice, or fresh plant tincture. I recommend about 3-6 capsules, or 1 to 3 dropperfuls tincture for acute symptoms. You should notice results in about 15 to 30 minutes. If not, then take some more. You may have to repeat every hour or so to keep the symptoms at bay. Now lets talk about cost. One 24-hour allergy tablet is going to run about 35 cents ($10.39 for 30 tablets). If nettles is your only treatment, you could end up using four tablets every hour initially. That would be 48 tablets a day. Cost? About $6.70 ($13.39 for 90 capsules on Amazon). I know people that used more than 1000 tablets during their first season. That would be close to $150. Quite a bit more than the $20 that the CounterAct Allergy would cost. However, since herbs actually support change in the body, it is not unusual to find that they people use less herbs the next season. Indeed, if you start with a wholistic approach right away, not only will the allergies improve, you will reduce you chances of developing cancer, heart disease, arthritis, and more. Nettles costs more, but is priceless, even as a stand alone treatment. Stress is actually a major underlying contributor to allergies. Many people’s bodies switch from Th1 mediated immune responses to Th2 when they are under chronic stress. Th1 simply refers to T helper cells that activate macrophages and a cell mediated response when a problem occurs in the body. This is the response we want happening to avoid allergies and encourage the immune system to kill any cancerous cells. In contrast, Th2 refers to the immune response where T helper cells activate the B cells that make antibodies. This is great if you are attacked by a virus, but Th2 response is really bad to do long term. A hyperactive antibody system (Th2) can contribute to allergies and auto-immune diseases. Eleutherococcus (Siberian ginseng) is something I take everyday to help reset my stress reaction. I consider it a must in today’s hyper society or if you suffer from PTSD. Follow exercise with full body relaxation. Hey body, what could we be doing if we weren’t doing this allergy thing? How does this allergy serve me? What am I offended by? What would it take for me to be free of allergies? What energy, space and consciousness are me and body capable of being allergy free? Here are the products I personally use and recommend. I take two capsules of the Siberian Sport everyday along with Peak Performance – a clinically tested multi-mineral, multi-vitamin, antioxidant, anti-inflammatory, probiotic supplement pack. We’ve been talking about research that is what I might call “pure” research. Pharmaceutical drugs studies actually fall outside of traditional scientific research channels, so it is best to consider them separately. Pharmaceutical companies are interested in getting their product okayed by the FDA as a drug. They develop the drug, pay for the studies, and run the studies themselves in conjunction with medical test sites. Their research is inherently biased. The people running the studies are paid by the pharmaceutical company. The data they collect is prepared in house and submitted to the FDA for approval. There is no peer review process where the data is evaluated before publication. Publication of the research is not the objective, the objective is to demonstrate the safety of the drug and that it can be used to treat a certain disease. They are focused on “selling” their drug to the FDA so they can get it on the market. There is an assumption that they are not falsifying data. Another bias is present in the FDA review process itself. Members of FDA advisory panels are allowed to have financial ties to drug companies and still participate in the approval process. For example, in recent years the contraceptive drugs Yaz and Yasim were implicated in 100 deaths, demonstrated a three-fold increase in blood clot risk, and 12,000 unhappy patients were suing for damages. The FDA finally decided to investigate the drugs. The advisory panel voted 15 to 11 to keep the drugs on the market. Four or five of the panel members had financial interests in the company that produced the drugs. They were all allowed to vote and voted to keep the drug on the market. Another doctor, that had written an article calling for the drugs to be removed from the market, was kicked off the panel for an “intellectual conflict of interest”. In addition to bias within the advisory panel, it is not uncommon for the FDA staff to have worked in the industry they will be regulating as part of the FDA. Further, key policy makers may also have financial ties to the industry they regulate. In addition, sometimes drug studies come up with a significant effect that is clinically irrelevant. A hypothetical example might be a drug that significantly reduces cholesterol. That sounds really good until you look at the clinical reality that the drug has a bunch of side effects and the reduction of cholesterol was only 1%. This means if someone has a high cholesterol value of 245 the drug would bring it down to 243. The reduction is actually meaningless and the patient still has high cholesterol. You might wonder, would a doctor actually prescribe a drug that was so worthless. Maybe. Doctors receive their drug education along with gifts, free samples, and perks from drug companies. They would be told the hypothetical drug is FDA approved for the reduction of cholesterol. Why would they question it further? The hypothetical situation demonstrates how this might work, but this is exactly what is going on with anti-depressants. It has long been know that anti-depressants work just as well as placebo in patients with mild, moderate and even severe depression. Indeed, they only show true clinical efficacy in patients that are very severely depressed. Yet, doctors still prescribe them. They are expensive placebos with unpleasant side effects. John Kelley, Antidepressants: Do they “work” or don’t they?, Scientific American, Mar2, 2010. Read Part 1. Read Part 2. Read Part 3. The results of research can be distorted based on conflicts of interest. The most common conflict of interest is when researchers have a financial investment in the research showing a positive result. The most obvious form of this is when the researcher is testing a product or service that they sell personally or they own stock or interest in a company that does. This conflict of interest would include a relative or friend selling the product they are testing. In that case they would have an interest in the success of their relative or friend. Although, researchers are supposed to indicate any conflict of interest, they may want to present their interest as unbiased and will neglect to mention any conflict of interest that is not a direct financial gain. Indeed, sometimes the funding agency is a foundation that upon closer inspection appears to have been set up so that a researcher can launder the financial contribution to the study by having the funding come from the foundation rather than directly from the manufacturer of the test preparation. In addition, researcher may be motivated by fame or just wanting to be right. I talked to a former student once that worked for a researcher that had her run chemical analysis on samples over and over until, by a fluke, the data matched the researcher’s hypothesis. The researcher would review the data and circle the samples to rerun. The student reported that the repeated samples would give the same result, but researcher would have her rerun them over and over. Eventually, a run would give the value that fit with what the researcher wanted. The student could see the farce in this, but as long as the researcher had an actual result, they did not feel like they were falsifying data.